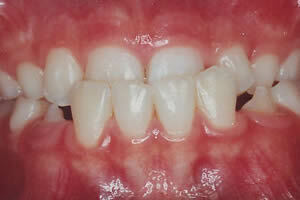 Crowding of the teeth is the most common problem in orthodontics. 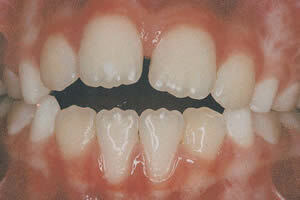 Crowding is caused by an imbalance between the size of the jaws and the size of the teeth. Treatment for crowding often requires fixed braces, and in severe cases, extraction of teeth may be required to correct the bite. Spacing results from a disharmony between the size of the teeth and the size of the jaws, where the size of some or all of the teeth is too small for the size of the jaws. Spacing may also be the result of missing teeth. 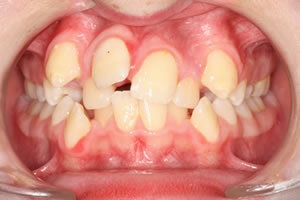 Treatment will often involve fixed braces to close the spaces. The upper front teeth bite inside the lower front teeth. 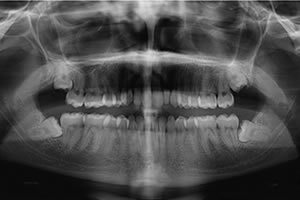 An anterior cross-bite may be associated with uneven tooth wear and strain on the jaw joints which may result in temporo-mandibular joint problems. An anterior cross-bite may also affect the tooth's supporting bone and gums. 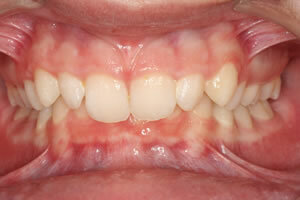 Early treatment of an anterior cross-bite is often recommended. 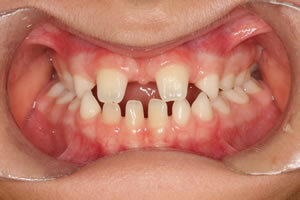 Treatment may involve fixed braces or a removable plate to move the teeth into the correct position. In an ideal bite, the upper teeth bite on the outside of the lower teeth. In a posterior cross-bite, the upper back teeth bite on the inside of the lower back teeth. A posterior cross-bite can be associated with uneven tooth wear and strain on the jaw joints which may result in temporo-mandibular joint problems. Early treatment of a posterior cross-bite is often recommended. 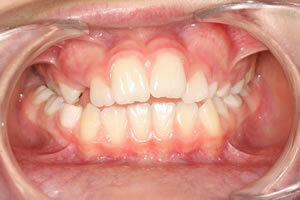 Treatment normally involves a fixed or removable expansion appliance. 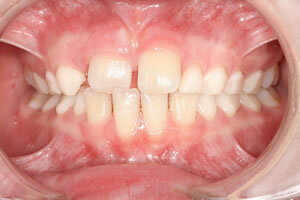 Protruding teeth is caused by the lower jaw being set back compared to the upper jaw. Protruding teeth can also be caused by habits such as thumb sucking. 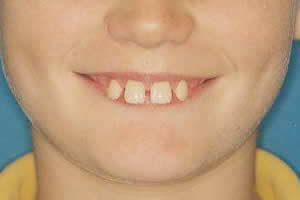 Protruding teeth can be unattractive and are more prone to injury. Protruding teeth can be treated in a variety of ways, including, habit cessation, head gear, functional appliances and fixed braces. In certain cases, extractions may be required to correct the bite. In severe cases, jaw surgery may be required. An under bite occurs when the lower jaw is forward of the upper jaw. An under bite can cause excessive wear on the teeth and place strain on the jaw joints. It is often possible to correct an under bite at an early age with a reverse pull head gear. In mild cases, correction may also be possible with fixed braces. In severe cases, jaw surgery may be required. A deep bite occurs when the upper front teeth cover most or all of the lower front teeth when the teeth are together. A Deep bite is associated with excessive tooth wear and gum damage, and can also cause temporo-mandibular joint problems. Deep bite is often treated with fixed braces. An open bite occurs when the upper and lower teeth fail to overlap when biting. An open bite can be caused by habits such as thumb sucking or tongue thrusting, and treatment to stop the habit will often result in the improvement of the bite. Teeth most often missing are the lower and upper premolars and the upper lateral incisors. When teeth are missing, the adjacent and opposing teeth tend to drift into the space, causing unattractive spaces between the teeth. Treatment for missing teeth will involve fixed braces, and spaces are either closed, or spaces are opened in the area of the missing tooth or teeth so that an artificial tooth can be placed once the braces have been removed. Options for tooth replacement include bridges or implants. Impacted teeth fail to erupt fully into the mouth. The impacted teeth may partially erupt, or fail to erupt altogether. 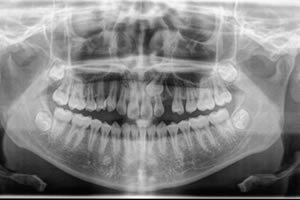 The wisdom teeth are often impacted and may require extraction. When other teeth are impacted, space can created with orthodontic appliances and the impacted tooth may spontaneously erupt, or surgery and fixed braces may be required to move the tooth into the correct position. 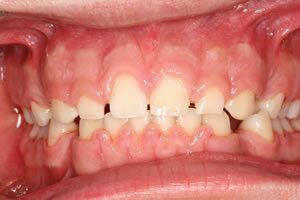 Ectopic teeth are those that are growing and developing in the wrong position in the jaw. The most common teeth to develop in an ectopic position are the canines in the upper jaw. Most ectopic teeth can be moved to the correct position with fixed braces. Surgery may be required to uncover the ectopic teeth.